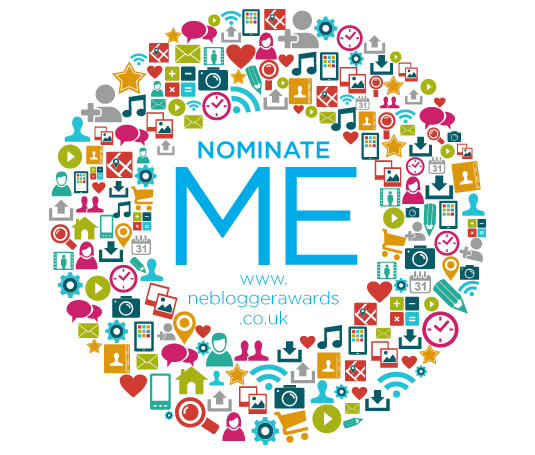 I can't believe the nominations for the North East Blogger Awards are open again! If you didn't know, last year I was lucky enough to win Best New Blog! There's a nice little shot of me above with my award! Read about the awards here! It was such a good night and I still can't believe I actually won! 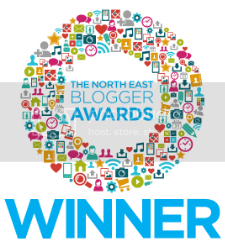 There's so many amazing blogs in the North East, so even being nominated was amazing! So now the awards have rolled around again it's my chance to ask my lovely followers to consider nominating me for the Best Looking Blog category, find all the details on how to nominate here! My blog will be 2 in February and I'm still completely obsessed with it! I work really hard on my blog, like I'm sure all of you do and I'm really proud of how far it's come. I've decided to ask for nominations in the Best Looking Blog category as I think all the factors are something I work really hard in making perfect. Recently my blog has had a total makeover and I'm so pleased with the design and layout. Being a photography student at the University of Sunderland I always strive to have to best possible photography on my blog and spend hours getting it just right! 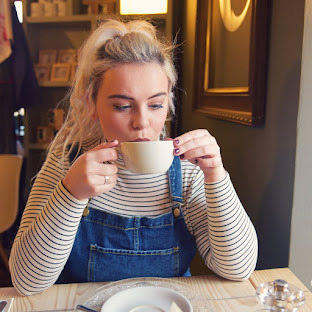 So as I mentioned above, here is the link to nominate for the North East Blogger Awards, I would be over the moon if any of you spend a couple of minutes to nominate me for the Best Looking Blog category! Thank you all so much for reading my little corner of the internet!